Chairman of the USSR Council of Ministers Alexei Kosygin poses for a photo in his office (1974). A new exhibition of photographs in Moscow is dedicated to Soviet reformer Prime Minister Alexei Kosygin. Favored by Stalin, Khrushchev and Brezhnev, Kosygin was responsible for the introduction of dramatic reforms in the 1960s, attempting to bring elements of a market economy into the Soviet system years before perestroika. A photo exhibition dedicated to Soviet reformer and statesman Alexei Kosygin has opened at the Ekaterina Cultural Foundation in Moscow. 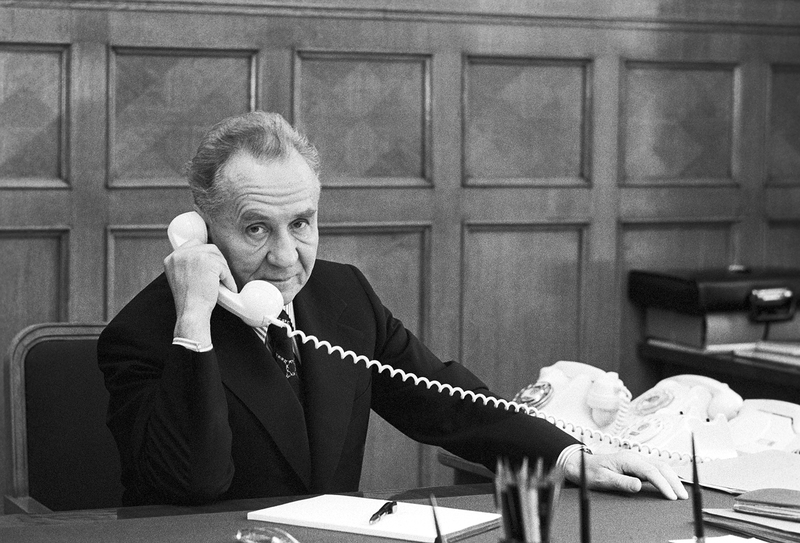 Kosygin, who was esteemed by the likes of Stalin, Khrushchev and Brezhnev and served as prime minister, is associated with the most radical pre-perestroika attempt to change the Soviet economy. "The Kosygin Phenomenon" exhibition illustrates the fate of a talented Soviet statesman in the context of a historical era that essentially includes the whole period of the USSR. Kosygin went through the Civil War, three decades of Stalin, World War II, the Khrushchev Thaw and the period of stagnation under Leonid Brezhnev. The child of a Petrograd worker, Kosygin went on to forge a brilliant career in the Soviet Union. After serving in the Red Army and gained experience in the cooperative system in Siberia, Kosygin graduated from a textile institute in Leningrad. After working as director of a garment factory for a short time, in 1938 he was elected to head the Leningrad Council, thereby becoming the leader of the second city in the USSR after Moscow. A year later he was appointed Minister (or People's Commissar, as the post was called) of Textile and Industry. At the time he was only 35 years old. Kosygin fully demonstrated his organizational skills during World War II. Several days after the Nazi invasion of Russia he was appointed Deputy Chairman of the Council for Evacuation. The council was faced with a big challenge: evacuating thousands of industrial enterprises from those areas of the country that could soon be occupied by Hitler's troops to the Soviet east. The difficulties were overcome and by 1942, 2,500 industrial enterprises had been moved to the east, where many began functioning as soon as they were unpacked and reassembled. Historians believe that Kosygin played a big role in the successful implementation of evacuation procedures. In January 1942 Kosygin was sent to Leningrad, which was surrounded by German and Finnish troops. He had to organize the evacuation of hundreds of thousands of residents and establish a supply route to the besieged city. In Leningrad, Kosygin participated in the creation of the Road of Life, the road across the ice of Lake Ladoga, the only route connecting the isolated city with unoccupied Russia. The appearance of the Road of Life provided an opportunity to send the starving city food supplies and evacuate sick residents. It was mortally dangerous to traverse the road because it was constantly shelled by German planes and artillery. Vehicles would often sink in the cracks formed in the ice. Yet there was no alternative. Thanks to the Road of Life more than half a million people were evacuated from Leningrad. A pipeline was also laid along the bottom of the lake to supply the city with fuel. It is said that the road remained Kosygin's pride and joy until the end of his life. After the end of the war Kosygin's administrative skills were in great demand and he held various government posts. It is considered that Stalin, who was favorably disposed to him, appointed Kosygin his deputy in the government back in 1940. Many people are convinced that it was precisely Stalin's sympathies that saved Kosygin from the repressions related to the so-called Leningrad Affair. Meanwhile, Kosygin's grandson Alexei Gvishaini believes that his grandfather "was needed, that the regime needed him as a practitioner, one who knew how to do specific things in agriculture and obtain concrete results. Others didn't know how to do this." In the 1960s foreign mass media also reported on the Soviet politician's administrative talent. The American publication Newsweek wrote: "A person of this sort could head a large corporation such as Ford or General Motors." In the years of Khrushchev's tenure, Kosygin first supported him in the inner-party struggle but then became close to those who spoke out against the general secretary. After Khrushchev was replaced, Kosygin became head of the Soviet government, a post that he held almost until his death in 1980. He set a particular record at this post, having held it longer than anyone else since it was established in the beginning of the 20th century. After becoming prime minister in 1964, Kosygin attempted to change the Soviet planned economy, introducing elements of a market economy. He tried to make enterprises more autonomous: Еhey received the right to establish relations with suppliers and consumers by themselves and keep part of the profits. The results of the change were immediate: Еhe period of the reform, the second half of the 1960s, was one of the fastest periods of growth in the Soviet economy. The 1966-1970 five-year plan was called "golden." However, there was a reverse side to the reforms. Not having the opportunity to raise prices (the government had maintained control over them), the enterprises reduced investment in production and increased the salaries. The growth of the population's income led to the growth of inflation. Consequently, Kosygin's reforms gradually came to an end. However, the experience of Kosygin's changes was useful in the middle of the 1980s, during perestroika.